I’m just curious if you’ve ever had any similar responses, or what your view on the whole thing is. What’s the difference between crossdressing and transgender? This is also a pretty common question we all ask ourselves. 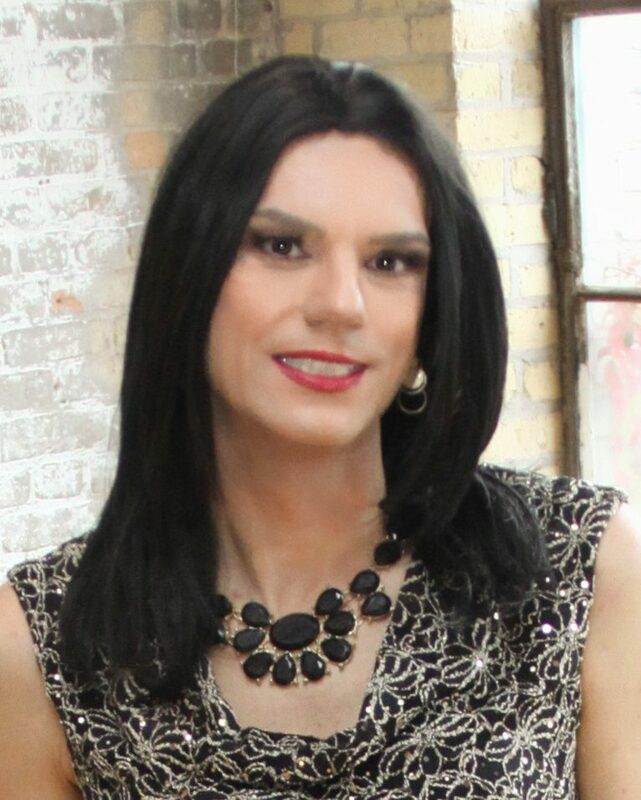 Many of us start by identifying as a crossdresser and many of us will transition (no pun intended) to identifying as transgender. I think some people feel that if it’s all about, and only about, the clothes, then it’s just crossdressing. But once feelings and gender identity are factored in, then it crosses into trans territory. Others say it takes hormones to strut into trans-land. It’s not easy to explain who we are. Usually we stumble through coming out and get frustrated because it’s hard to really pinpoint the reasons we are who we are. It’s even harder for someone else to understand. It may be hard but if we want others to understand us then we have to do the best we can to communicate with them. Of course, you are under no obligation to explain to anyone (besides your significant other) who and why you are who you are, but if you do, then you need to take the time to do some soul-searching and kind of sort yourself out. To this day my mom thinks I am a crossdresser as opposed to being trans. Why? Because that is how I can out. I came out to her about five years ago and I didn’t quite do it correctly. I told her it was about clothes, about dressing up, and that I didn’t know why I did it. It is what it is. Perhaps I downplayed it in an effort to spare her feelings or calm her worry? But pulling these punches did me no favors. Were I to come out today to her, or to anyone else, the conversation would be more about my perspective on identity and not feeling restrained by societal and gender norms and how I don’t know why I am who I am and that I don’t really care about figuring it out. Just like I don’t lie awake wondering why I like coffee I don’t lose sleep over why I heart mascara. The sticking point is that there are many perspectives and opinions on these terms and there’s no universally agreed upon definition. I suppose it would be fair to say that these terms are open to interpretation and your definition is likely different than someone else’s. What this thinking falls under is that there is no right or wrong way to be trans. Just like there is no standard or expectation you must meet to be able to identify as a girl, you do not have check off certain boxes to be able to identify as transgender. You do not have to wear a size 8 in heels to be a girl, you do not have to transition or live full-time to be transgender. Just like you can’t let anyone tell you that you are or are not the gender you identify as, you can’t let others tell you if you are transgender or not. If you say you are, you are. Personally I would say you are transgender but my opinion means nothing. It’s all about what you identify as. I think the transgender term can, and does cover more specific ways to identify. Some identify as gender-queer, agender and non-binary. I think I identify as a bi-gender. Crossdressing, drag, all of these terms fall under transgender. If you haven’t done so already, I recommend reading Mia Violet’s book ‘You Are Trans Enough’ which talks about this better than I could. I have never experienced any push back from our community about my definition. In many ways my definition is my perspective and my opinion. Were I to be challenged on it I wouldn’t fight to the death trying to convince someone else of my definition. I would impress upon them that this is my opinion and no one has to agree with it. If I remember my trans history, the term transgender was coined by Virginia Prince. Ms. Prince, a self proclaimed crossdresser, originally meant the term to represent that group. I believe that I fit into the trans spectrum along the same lines as you. I’m sure that there are those that would say that I am not transgender. Never understood that attitude of exclusion. Seems to me the bigger the tent, the more power our voices would have in this world. Bottom line to me is that only you are able to declare how you identify. I prefer Jacob Tobia’s term “gender-chill”. We should all have an opportunity to try out expressions from all over the masculine/feminine spectrum and reject this ridiculous binary that so many believe is set from birth. If gender was destiny, women would still be wearing dresses every day and would have never had the desire to be independent thinkers. My desire to wear beautiful, elegant feminine clothes is not “weird”, it is simply more evolved that all those men who have accepted the idea that “boys don’t wear skirts”. it is all about labels and our society wants to label and put everybody in a pigeon hole. Why can’t we just be kind to each other. treat each other the way we want to be treated. life would be so easier.